What I’ve seen on the Lake Today? 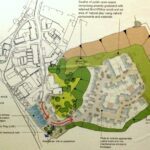 Notification of Proposed Development: Application No: 11/01250/FUL Site: LAND AT BARTON ROAD, HOOE LAKE, PLYMSTOCK, Development: Re-development of site by erection of 222 new dwellings, provision of new public open space, ancillary access roads, improvements to Barton Road and associated works. 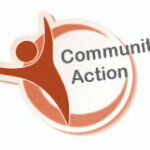 The above application will be considered by the Planning Committee on Thursday 12 January 2012. This meeting can be observed by the Public and is held in the Council House, commencing at 1.00pm. There is also an opportunity to voice your views and comments at the meeting. Details of Public Speaking and how to register to speak are also available online at http://www.plymouth.gov.uk/speakingatplanningcommittee or alternatively at the Civic Centre. The agenda, containing details of the meeting and the officer report is available 5 working days prior to the meeting (i.e. this Thursday) and can be viewed online at http://www.plymouth.gov.uk/planningcommittee. Alternatively, a paper copy is available for inspection at the Civic Centre or the Central Library. If you wish to discuss the report about this application please contact the case officer Robert Heard on 01752 304349. Walking along Barton Road today, we could not help but notice a deep lagoon of heavily contaminated water and associated noxious smells. We noticed this pit some 15 metres in from the main works entrance. Any bird or wildlife visiting to rest or take in water will not stand a chance. This could also easily be carried over into the main lake should heavy rain prevail. This is typical of both irresponsible developers and PCC colluding officials. We will be contacting the Environmental Health Department tomorrow to report our concerns. 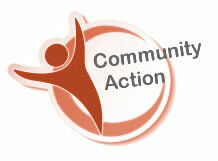 We suggest all those who are actively concerned take a look for themselves and report the same. Harriet on What’s been spotted on the Lake? Patrick Dunbar on Radford Cottages and The Oldest Man in Oreston! marcia bastin on Radford Cottages and The Oldest Man in Oreston! Mike on What’s been spotted on the Lake? joseph byrne on What’s been spotted on the Lake? Lisa carder on Radford Cottages and The Oldest Man in Oreston! Simply enter your email address to be kept informed via email about local news, environmental issues & events – It’s a FREE Subscription and you can unsubscribe at any time. What I've seen on the Lake Today? 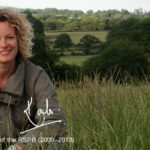 Kate Humble on Radford Quarry – What a relief, and great news for wildlife! © 2019 HooeLake.org. All rights reserved. Premium WordPress Themes.